Facebook Drops "Become A Fan", Replaces with "Like"
Did you notice the change to your Facebook Fan Page today? Facebook has actually dropped the “Become a Fan” button from your Facebook Fan Page, and has replaced it with the “Like” button. Not only is the change directly affecting the way that people follow your Facebook Fan Pages, but it also dramatically changes the layout of your Facebook Fan Page. 2) Everyone else who has “liked” your site. But “Liking” a Facebook Fan Page is much different than someone “liking” an update from a friend. When you “Like” a Facebook Fan Page, this is the equivalent of “Becoming a Fan” – you will receive all of that pages’ updates in your news stream – regardless of who your friends are. Is there a difference between “Liking” an item a friend posts and “Liking” a Page? Yes. Liking a Page means you are connecting to that Page. 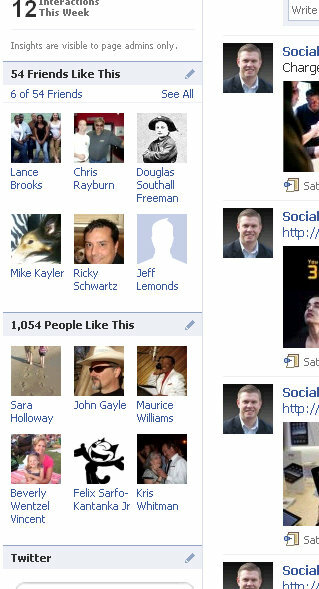 When you connect to a Page, it will appear in your profile and you will appear on the Page as a person who likes that Page. The Page will also be able to post content into your News Feed. Read more about the “Liking a page”. Sorry, FB creators, but I really don't know where do you take your own definition for "consistency". Creating two functions bearing the exact same name, plus add the same icon does not improve consistancy, no matter how hard I try to see that your way. There is also a HUGE functional change that is GONE – I used to be able to determine who my last fan was that joined the site. Where is that link and I used that to either msg the person directly to thank them OR post on my wall but now you can't determine who the last 'become a fan' person is. Somehow I do see the consistency theory… and I also think it’s a big function being lost (but in the long run a good idea. But anyway, I have the answer. Facebook is reverting back to it’s original purpose and I apologize to anyone who felt that they were now in Hollywood with the ‘Become a Fan’ status. I mean… there is less effect as they used to be when someone actually has the mindset that he is becoming a ‘fan’ then the ‘like’ which just sounds simple, plain and… to some extent dull. This teaches us not to rely on electrolonogy as a big marketing mix…. someone say I’m right. Facebook has also changes user's info page – used to be that pages were listed with their respective little icons – and these rotated randomly. Now, it's just one icon and a list. Now, with "like", these fan pages aren't really all that 'business-like' anymore and the line between a group page and a business (fan page) is even more blurred. I dislike, dislike, dislike!!! We have not had one new person "like" our page since this was put into effect. Previously, we were averaging 6 to 10 new fans per day. This is disastrous! Facebook needs to re-evaluate this feature.